Check out these 8 events happening this weekend. 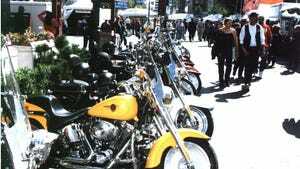 Street Vibrations has riders revving their engines in downtown Reno through the weekend, with bikes, music, vendors, a tattoo expo and appearances by the International Bikini Team. Do you like those old Western movies? How about watching cowboys and cowgirls test their herd, reigning and fence work? The National Reined Cow Horse Association Snaffle Bit Futurity is a showcase of the vaquero horse training methods of the American West. Riders and their horses chase their share of more than $1.1 million in prize money at the Snaffle Bit Futurity. The event, which is being held at the Reno-Sparks Livestock Events Center, also includes a trade show through Oct. 1. The trade show could be a chance to get a jump start on your holiday shopping. The event also includes two horse sales from Sept. 29 to Oct. 1, according to the Reno-Tahoe USA website. The competition is free through Wednesday and will be ticketed from Sept. 29-30 and Oct. 1. September is the start of the apple season. Head to Apple Hill, Calif., to pick seven different types of apples, from red delicious to golden delicious to gala and McIntosh. Make sure to plan your trip. Not all apple farms offer the chance to pick your own apples. And once you’re done, you can bake an apple pie or try other baked desserts such as caramel apples, doughnuts or fritters at the various bake shops in Apple Hill. If you want to make it a full weekend trip, stay at one of the local Gold Rush-era hotels. Parents can also take their children to the Apple Pantry Farm from 11 a.m. to 1 p.m. Saturday for “Kids Baking Day.” The Pantry Farm is located on the corner of North Canyon and Hassler roads in Camino, Calif.
Visit the Apple Hill Growers website for ideas on how to plan your trip. If you need a little more help with planning your trip, check out these 50 things you can do. Thousands of flickering lights will set the night sky over Fernley aglow. The Lantern Fest is back Saturday which means family and friends can come together to celebrate life and loved ones under the glow of floating biodegradable Chinese lanterns. Attendees can enjoy food, live music and s’mores before sundown. Children can also get their faces painted, watch balloon artists make balloon animals or decorate their lanterns. 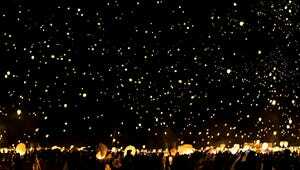 Once the sun goes down, all attendees will be asked to light their lanterns and let them fly as part of the event’s mass ascension. Gates open at 3 p.m. Saturday. Attendees can bring food, drinks, blankets and chairs. Hard sided coolers, glass bottles and alcohol will be confiscated. Tickets are available on the event’s website at $45, or $50 for day-of registration. Parking costs $5. The event will be held in Fernley at 1965 S. Highway 95A. Listen to the best songs from The Eagles during a classic tribute as part of the Street Vibrations fall rally celebrations. The event is scheduled through 4 p.m. Thursday at Harrah’s Reno Hotel & Casino. Harrah’s is also playing host to another concert, Journey Revisited. The concert is scheduled from 7 p.m. to 9 p.m. on Thursday. You can also listen to rock, pop and country hits from noon to 4 p.m. Friday at Harrah's. Or you can listen to a classic Santana tribute from 7 to 9 p.m. Friday. Audioboxx will perform classic and modern rock from noon to 4 p.m. Saturday. Skynnyn Lynnyrd also will perform from 7 to 9 p.m. Saturday to pay tribute to Lynyrd Skynyrd. All the events will be held at Harrah’s, 219 N. Center St.
Away from the downtown area, the Peppermill Resort Spa Casino hosts Dusty Miles & The Cryin’ Shame from 7 to 11 p.m. Thursday as part of the hotel’s free concert series at Terrace Lounge. The band is also scheduled to perform from 8 p.m. to midnight Friday and Saturday at the Peppermill, 2707 S. Virginia St. Visit the Peppermill Resort Spa Casino website for more details. For more information on upcoming concerts at Harrah's visit the hotel's website. Take the family out for dinner at the Reno Street Food Party from 5 to 9 p.m. Friday at Idlewild Park. Reno Street Food was initially a weekly gourmet street food event in Reno, organized by local business owners. The event features more than 30 gourmet foods, craft desserts, beer, wine and mixed drink vendors and food trucks. Reno Street Food also includes free live music from local musicians. Take your lawn chair and a blanket and relax with family and friends at the park. There's also a playground for the children. You can also park for free nearby. The event will be held Friday nights in September. For more information, email RenoStreetFood@gmail.com or call 775-825-2665. If you’re a beer drinker, then take a walk to several downtown bars as part of the Reno Beer Crawl. The event is scheduled from 2 to 6 p.m. Saturday. Buy a commemorative cup or glass and try different drink specials at 20 locations. The $5 purchase includes a wrist band, map and glass to use for $1 refills. The event includes a raffle at 6:15 p.m. at The Waterfall. The raffle is a chance to win $25 gift certificates to participating taverns. You don’t need to stay in Reno this weekend. Head to Genoa for the annual Candy Dance Arts & Crafts Faire from 9 a.m. to 5 p.m. Saturday and Sunday. The free event features more than 300 vendors, crafters and food. You can shop for crafts and try homemade candies and foods. The event started in 1919 when local women sold homemade candy and served midnight supper during a dance at Town Hall. The funds raised would help maintain the town’s streets, according to the Reno-Sparks Convention and Visitors Authority. The candy dance and dinner is scheduled from 4 to 10 p.m. Saturday. Tickets are required. Free shuttles and $5 parking will be offered at Foothill Road, Genoa Lane and Jacks Valley Road. Genoa sits 50 miles south of Reno. For more information, visit www.genoanevada.org. Try out one of the area’s toughest mountain bike rides or watch others do it at Galena Fest on Sunday. If bike riding isn’t your thing, the event also features a trail run and walk or a kids’ run. Galena Fest also features music and food and drinks. The beer garden is also back. Try a few Reno favorites under the shade of towering Jeffery Pines. Races include The Blood Rose, a 12.2 mile mountain bike course that challenges riders’ endurance. The course includes sections steeper than 15 percent. The grand prize is a yearlong Mt. Rose season ski pass. Two-day ski passes will be awarded to the top riders in each category. The Wicked Thorn is a 7.25 mile trail run through the Galena forest. The grand prize is also a yearlong ski pass. The top three runners will receive medals.